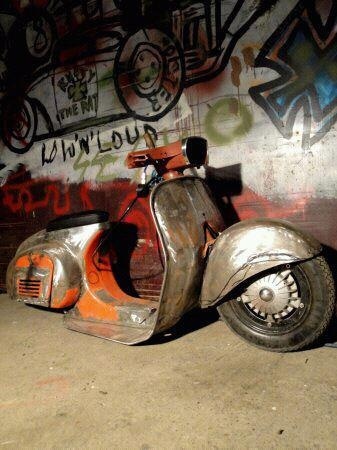 Small Frame Vespa lowrider – great look rat rod scooter. This is customized scooter based of old model Yamaha. Idea for Scooter Rat Rod is new, but we believe it will soon be very popular hobbies.